Another step towards autonomous and eco-friendly farming could soon be achieved. Blue River Technology – a startup founded in 2011 by two Stanford University Alumni – has announced $3.1 million in funding from angel investors led by Khosla Ventures. The company is developing an alternative to chemical-intensive agriculture, which is both expensive and hazardous to the environment. With advanced computer vision techniques for identifying weeds and selectively killing unwanted plants, Blue River Technology's equipment is much faster and more efficient than traditional methods of weed killing. Known as "Lettuce-bot", this machine is particularly well-suited to organic agriculture and fields with chemical-resistant weeds. During tests, this automated system gathered over a million images as it moved through the fields. 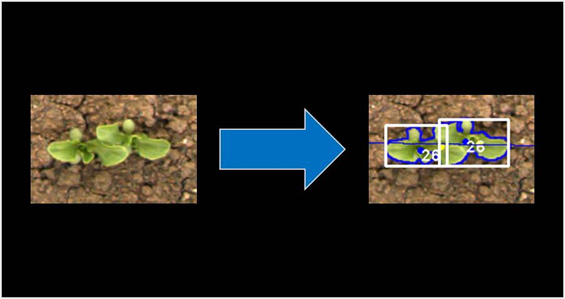 Its Computer Vision System was able to detect and segment individual plants – even those that were touching each other – with 98% accuracy. "We intend to invest the proceeds of this round in growing our engineering team and accelerating our new product roadmap," said Jorge Heraud, co-founder and CEO of Blue River Technology. "Our culture fosters extreme innovation aimed at real-world problems. We are looking for passionate engineers to advance the boundaries of computer vision, machine learning and robotics and help us reinvent food production. " "With global population expected to increase to 9.5 billion by 2050, increasing food production in a sustainable way is going to be one of the great challenges of this century," said Vinod Khosla, founder of Khosla Ventures. "Blue River Technology's solution will not only be more cost effective than current solutions, but has the potential to reduce U.S. herbicide use by over 250 million pounds a year." Currently, the machine only works on Iceberg and Romaine lettuce, as the database of images was generated for those plants only. However, it is hoped that more varieties will be possible soon. A number of other companies are developing robots for agriculture and these machines are expected to become fairly commonplace by 2016. 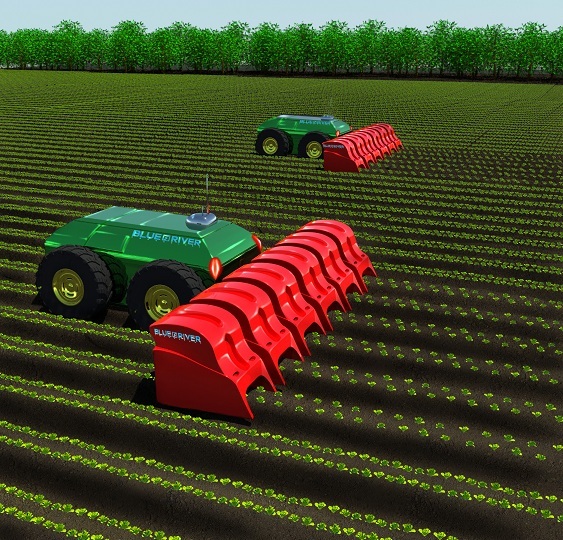 Further into the future, robots working in fields could do more than just eliminate weeds. They could also monitor insects, identify pests, measure the soil pH and nitrogen levels, and check the water content, keeping fields in near-perfect condition.